Which is The Pick of FOSJOAS Self-balancing Electric Scooters? It is over four years since Moben Global Inc. released its first FOSJOAS intelligent self-balancing scooters. In the 4 years, Moben Global Inc. has pushed out several models of FOSJOAS. The agile model FOSJOAS V6. The twin-wheeled scooter FOSJOAS V3, V5 and V8. And the latest model FOSJOAS V9, U3 and K3. Each model has its own characteristic uniqueness. The people resist asking which the pick of these FOSJOAS intelligent self-balancing scooters is. FOSJOAS single-wheeled self-balancing scooter V6 is especially for some pro players. The single-wheeled hub system ensures the agility when FOSJOAS intelligent self-balancing scooter travels. The single-wheeled hub is convenient to turns. Those who are fond of FOSJOAS V6 more often than not ride V6 to appear in the streets or in the squares of parks. They flaunt their thrilling riding skill before a good many viewers. However, those common players shrink from FOSJOAS V6. From that, FOSJOAS V6 has become the patent of some pro players. In order to meet the demand of those common players, Moben Global Inc. rolled out twin-wheeled intelligent scooter. The original twin-wheeled system gives rise to a battery ability to keep balance. 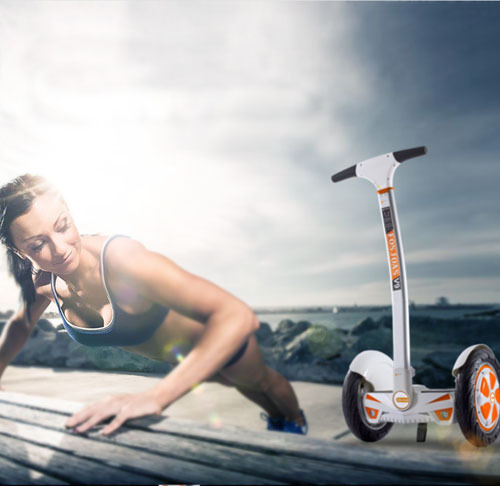 As for some beginners, FOSJOAS twin-wheeled intelligent scooter offers them an outlet to experience the amazing ride of FOSJOAS scooters. Amongst all lines of FOSJOAS twin-wheeled scooters, V3, V5 and V8 are the classic ones. The latest models of FOSJOAS self-balancing two-wheel electric scooters are abler to maintain balance. These two-wheeled self-balancing scooters include FOSJOAS V9, U3 and K3. There are some people who have less time to learn to steer intelligent self-balancing scooter. Therefore, FOSJOAS two-wheeled self-balancing scooters are exactly what they want. FOSJOAS electric scooters meet their demand. By means of the excellent ability to maintain balance, FOSJOAS V9, U3 and K3 are used in daily production and transportation. In some large works, they are applied as inner transport.